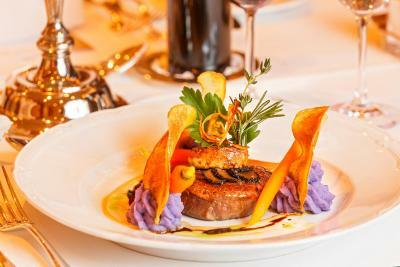 Lock in a great price for Beausite Park Hotel – rated 9.3 by recent guests! Clean, comfortable with great attention to every detail. Very pleasant and helpful staff. We had a fantastic stay and look forward to returning at some point! There is nothing not to love about this place. Sorry about the double negative but it is spectacular all around. The spa facility is excellent. The views of the mountains from the hotel are amazing. 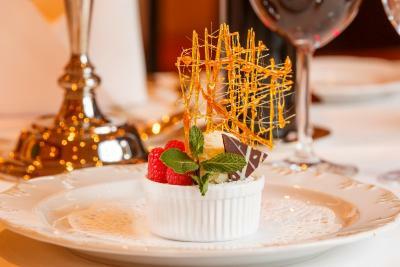 Comfortable rooms, great staff, great views, and food was outstanding. It would be a mistake not to book the half board because the dinners are wonderful and are really a hidden value because the quality exceeds the very reasonable cost. 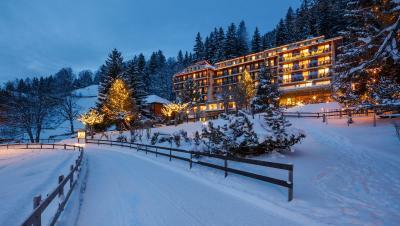 If we come back to Wengen, it will be to stay at this exceptional hotel. This is a five star hotel all around! They go out of the way to make sure everything is perfect. 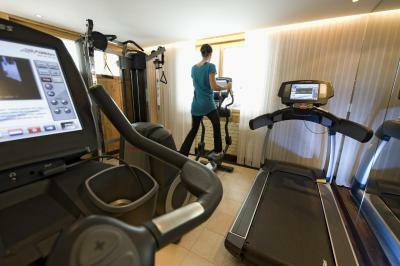 The hotel location and facilities are wonderful, also the staff are very active and friendly. I reached Wengen by train, and I called the hotel they send the car for me within less than 10 Minutes. All renewed in a very tasteful way. I was quite impress for the quality that we actually got for the price. The room was better and nicer that the online photos. Also: the pool is amazing, the staff super nice even with my toddler!, the SPA massage was very good, location is ideal for a sky station! This hotel was perfect for us traveling with our 2 year old. We called the hotel before we arrived and they picked us up at the train. We had a junior suite with a balcony and fantastic view. Breakfast was included and was delicious. 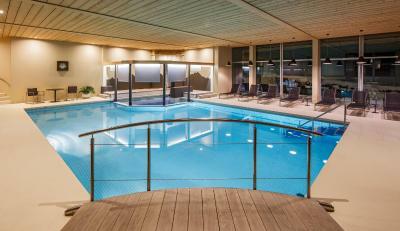 This hotel has the best amenities if you're traveling with children: an outdoor playground, an inside playroom, an indoor pool, and special dinner times. The owner made a point to greet us when we arrived, showed us to our room, and shook our hands when we left. Thoroughly impressed and would definitely stay here again! Beausite Park Hotel This rating is a reflection of how the property compares to the industry standard when it comes to price, facilities and services available. It's based on a self-evaluation by the property. Use this rating to help choose your stay! 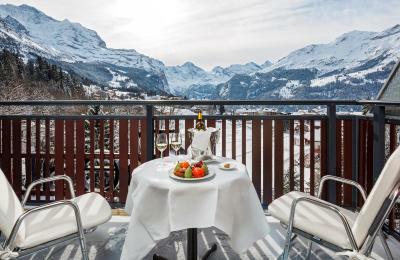 One of our top picks in Wengen.The Beausite Park Hotel in the car-free village of Wengen is a little, sunny paradise at the foothills of the Eiger, Mönch and Jungfrau mountain range offering superb views, fine cuisine and great spa facilities. Free WiFi is available throughout the building. 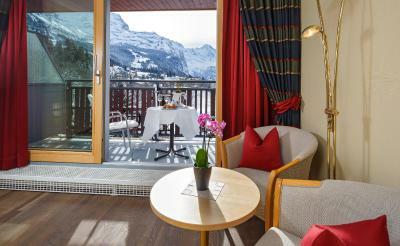 It is located right at the lower terminus of the Wengen-Männlichen cable car, providing for easy access to the numerous ski slopes of Grindelwald and the Kleine Scheidegg. A children's playground is featured. 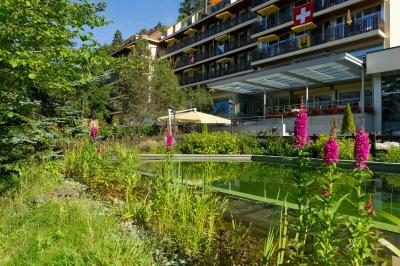 Spend peaceful nights in spacious and light rooms, unwind in the hotel garden with a natural swimming pond, and treat yourself to various massages in the new Spa Jungfrau of the Beausite hotel. 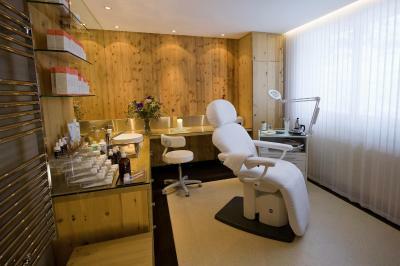 Beauty treatments are available as well. 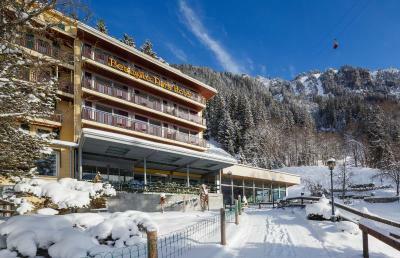 This property also has one of the top-rated locations in Wengen! Guests are happier about it compared to other properties in the area. 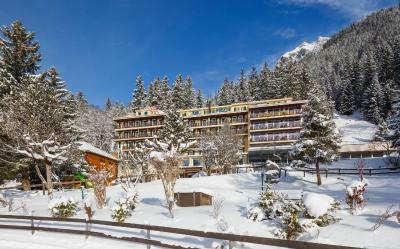 This property is also rated for the best value in Wengen! Guests are getting more for their money when compared to other properties in this city. 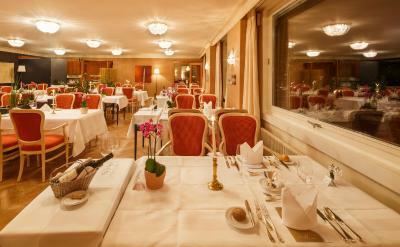 When would you like to stay at Beausite Park Hotel? Spacious room without balcony, with either 1 room with oak parquet floors and a walk-in closet or 2 separate smaller rooms (living and sleeping room) with 2 single beds (can be separated) or 1 bed with 2 mattresses, parquet floors, a seating area, a flat-screen cable TV, and a bathroom with 2 washbasins. This room is located at the rear of the hotel. Please note that the maximum occupancy for this room type is 2 guests. No extra beds are available. 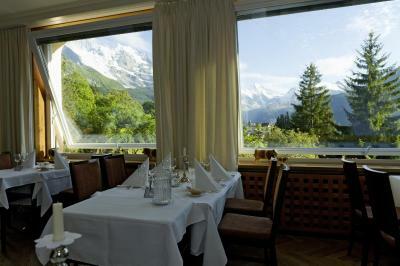 Facing south or southeast, these rooms come with a balcony, offering superb views of the entire Jungfrau mountain range. It features a bathroom with 1 sink and a bathtub, a TV, free WiFi, a mini-bar, a radio, a telephone and a safe.Either a room with a floor to ceiling window, wooden/vinyl floor and two (inseparable) twin beds (subject to availability) or a room with hard floor carpet, separable twin beds, a bigger bathroom and normal windows (subject to availability). 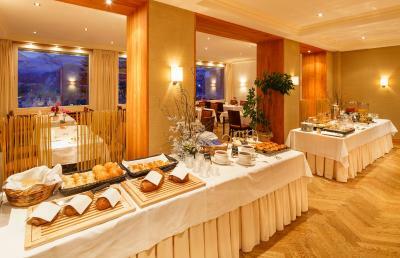 Junior suite with a balcony and panoramic views of the entire Jungfrau mountain range. It includes a seating area with a flat-screen cable TV, free WiFi, a mini-bar, a radio, a telephone, a safety deposit box and a bright bathroom. A door separates the living room from the bedroom, which comes with 2 single beds and a flat-screen TV. The bathroom has 2 washbasins and a bathtub. Room with a flat-screen cable TV, a telephone, free WiFi, a mini-bar, a safety deposit box and a bathroom with 2 sinks and a bathtub. This room provides views of a forest. 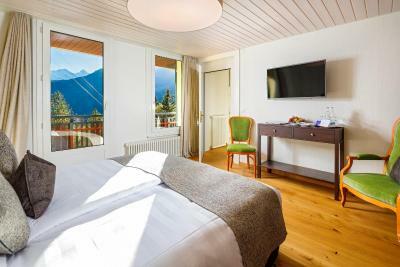 Spacious room without balcony, with either one spacious room with a wooden floor, a walk-in closet and two twin beds in an Austrian frame not separable or two smaller rooms separated by a curtain (living- and bedroom) with a wooden floor and including two separable twin beds. It is located in the rear part of the building. Please note that the maximum occupancy for this room type is 1 guest. No extra beds are available. 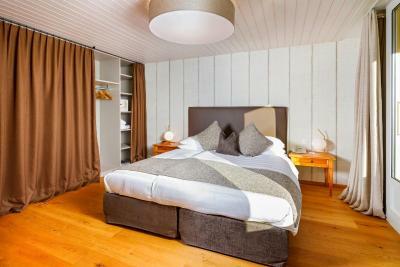 This single room features a mini-bar, telephone, TV, radio, free WiFi and safe. 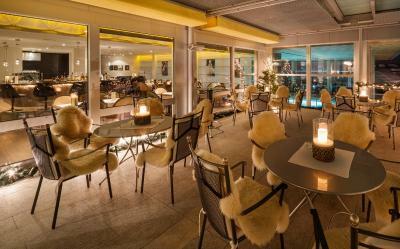 In addition, it provides a balcony with views of the Jungfrau Mountain. 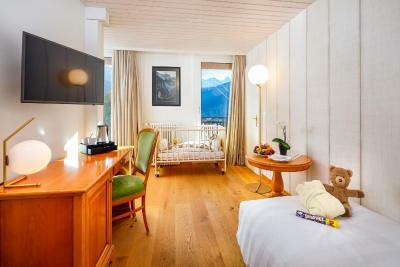 Either a room with a floor to ceiling window, wooden floor and two twin beds in an Austrian frame not separable or a room with hard floor carpet, separable twin beds, bigger bathroom and normal windows. The bathroom has a sink and a bathtub with shower head. These rooms either face south towards the front of the building, or else south-east to the side of the building. This spacious unit faces the forest at the rear of the hotel and features a flat-screen TV, a radio, a mini-bar, a telephoneand a safety deposit box. 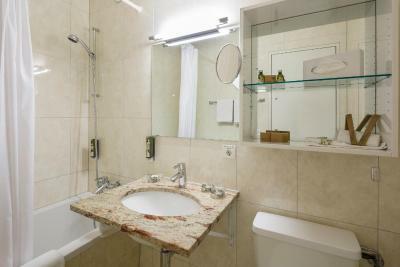 The room features a bathroom with 2 sinks and a bathtub. A baby phone connected to the reception is available, as well. 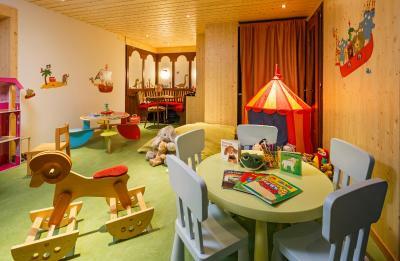 A children´s games room is available next to the dining room. 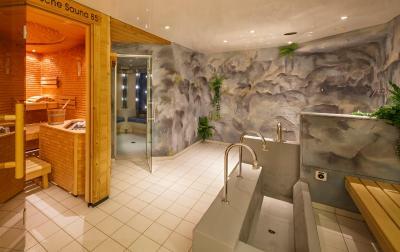 It is recommended for 2 adults and 2 children, max 14 years old. Please note this room does not have a balcony or a view. 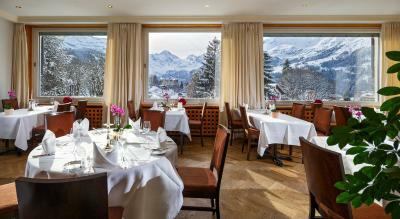 This room offers panoramic views of the Jungfrau Mountain from the balcony. The bedroom features separable beds and a flat-screen TV. The living room with a flat-screen TV is separated by a door from the bedroom and features extra beds for the children. It has a bathroom with 2 washbasins and a bathtub. It includes a baby phone which is connected to the reception and is recommended for 2 adults and 2 children, max 14 years old. There is a radio, telephone, mini-bar and safe. Free WiFi is provided. 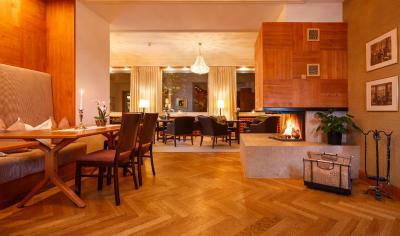 A children´s games room is available next to the dining room. 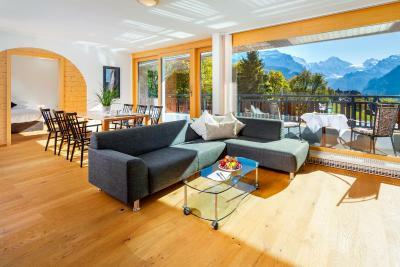 This apartment has 3 double bedrooms with 2 separate beds and 1 single bedroom and features a balcony with views of the Jungfrau mountain. It also comes with 2 bathrooms with bath tub, 2 separate toilets, and a spacious living room with floor to ceiling windows, a seating area and a large flat-screen cable TV, a radio, a telephone, a mini-bar and a safety deposit box. 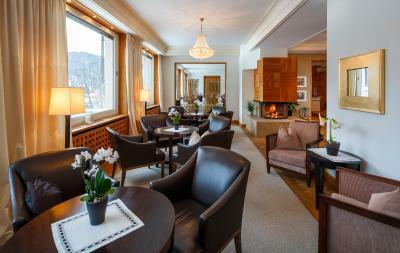 This spacious suite comes with a balcony, offering views of the Jungfrau Mountain, a separate living room with a flat-screen TV, a mini-bar, a bedroom with a flat-screen TV, radio, telephone and a bathroom with 2 sinks and a bathtub and an additional separate shower. Free WiFi and a safety deposit box are provided, as well. The spacious suite offers a bedroom with separable twin beds, as well as a separate living room. No extra beds or cots are available. Please note that the maximum occupancy for this room type is 2 guests. 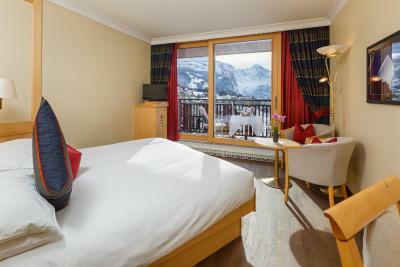 This spacious room comes with free WiFi, a bedroom with twin beds, and a a large, separate living room with extra beds, a balcony providing panoramic views of the Jungfrau Mountain, 2 TVs (bedroom and living room),radio, telephone, mini-bar, safe and a bathroom with 2 sinks, a bathtub and a separate step-in shower. It includes a baby phone which is connected to the reception and is recommended for 2 adults and 3 children. There is also a children playroom next to the dining room. 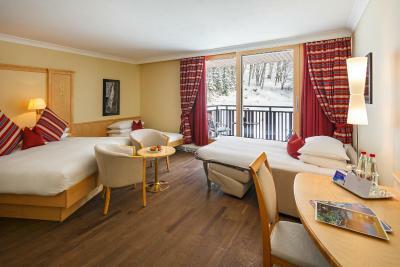 This spacious suite without balcony is located at the rear of the building, overlooking the forest. The bedroom has 2 separate beds and there is a large living room next to it which can accommodate extra beds. The bathroom has 2 sinks, a bathtub and a separate walk-in shower. There are 2 TVs (bedroom and living room), a radio, free WiFi, a telephone, a mini-bar and a safe. It includes a baby phone which is connected to the reception and is recommended for 2 adults and up to 3 children. 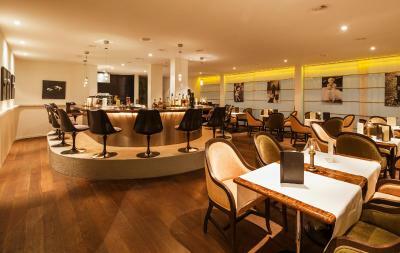 A children's play room is located next to the dining room. 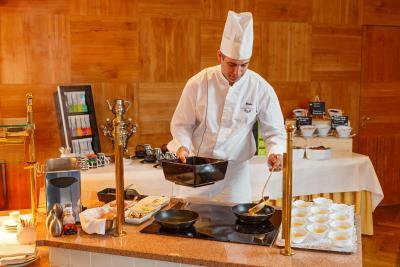 House Rules Beausite Park Hotel takes special requests – add in the next step! Beausite Park Hotel accepts these cards and reserves the right to temporarily hold an amount prior to arrival. Please note that Wengen is a car-free village. 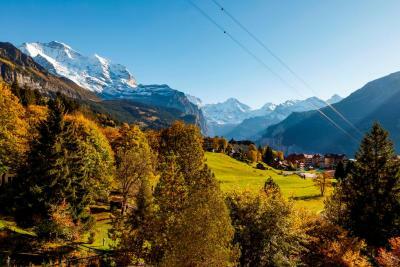 You can reach Wengen only by train. 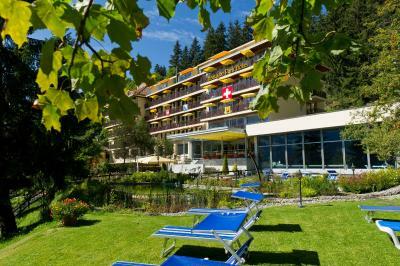 Park your car at Lauterbrunnen Station and take the train to Wengen. 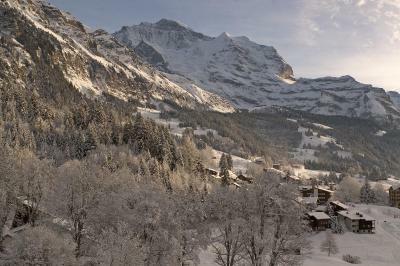 The train ride to Wengen takes approximately 20 minutes. You can also take advantage of a free transfer service upon arrival and departure. Please note that there no à la carte restaurant. 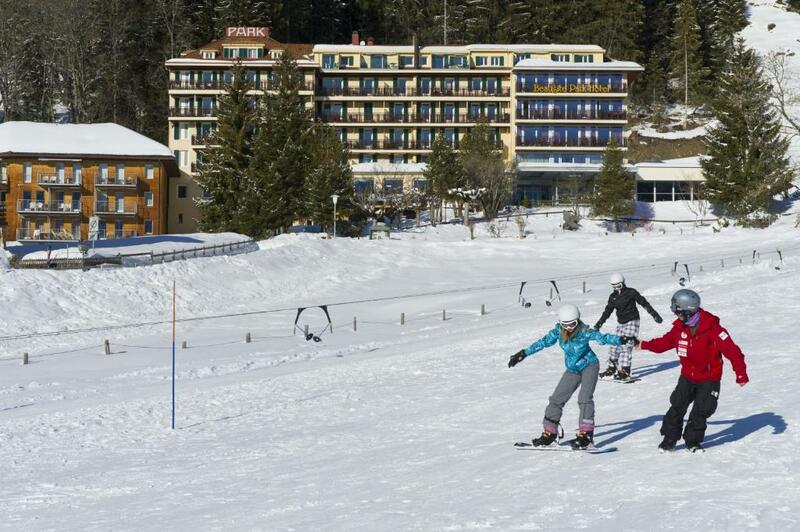 Half-board is offered (including a 5-course dinner, with special children's courses also available). Please note that this can only be booked on arrival. Please note that dogs are not allowed in the dining room. Please note that the shuttle service is only available for arrival and departure. Please note that the room decoration may vary from the pictures. Please inform Beausite Park Hotel of your expected arrival time in advance. You can use the Special Requests box when booking, or contact the property directly using the contact details in your confirmation. Very nice hotel, we had a superieur room which was great. Lot's of space. Staff very nice, swimming pool was perfect as was the jacuzzi. 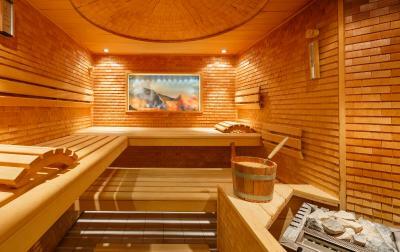 Sauna was great, enough choice after a day of skiing. Roomservice also very quick and the food was very good. The view is breathtaking. 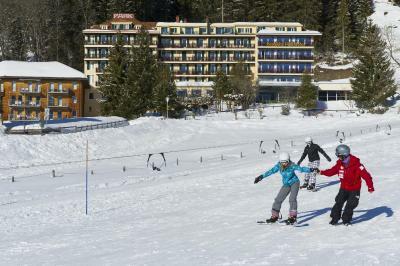 The property is great for families with the indoor pool and also the kids play room which, are always perfect to get that last bit of energy out of the kids after a day of skiing. We have stayed here before so to have the actual owners remember us and greet us upon our arrival was very much appreciated. The whole experience of staying at Beausite Park was perfect from arrival to departure. The pool and pond area for swimming. There was lots of choice for breakfast.